You are here: Home / Blog / Priorities / Parenting / Homeschooling / Science Projects? I am looking for good websites and books that describe HOW to do a science project, with ideas for projects and step-by-step guidance on how to research, write, display, and enter contests, etc. If you have any suggestions, please let me know! I’ll add all the ideas to my homeschooling website’s science page. « So You Want to Be a Writer? 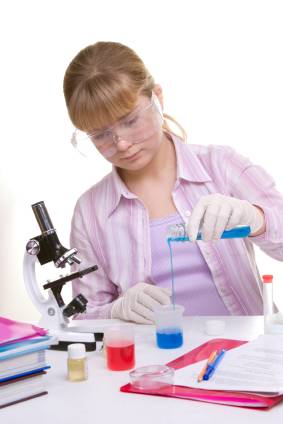 A step-by-step explanation of scientific investigation, the science research paper, oral presentation, and the science fair exhibit. Highly practical for all students, grades 7-12. I don’t know how good it is, my kids being way too young for Science Fairs just yet. No, thanks! I saw this book last when I was in high school (which my children inform me was a LONG time ago, LOL), and I’m curious if it’s helpful now, or if it’s helpful for homeschoolers. It’s about all I could find, though.